Anasazi Rock art, stone arches, massive cliff walls, and canyonlands national park are all attractions you can find on Moab area flat water floats. Enjoy a 1/2-Day tour in a rigid hull inflatable motor-boat. This is a calm water cruise with unique views and Indian art and ruins. Based out of Moab and focused on conservation and restoration, offering single and multi-day trip packages geared for fun and adventure with an environmental purpose. Flat water paddling is the perfect way to explore Moab’s beautiful canyons and national parks. 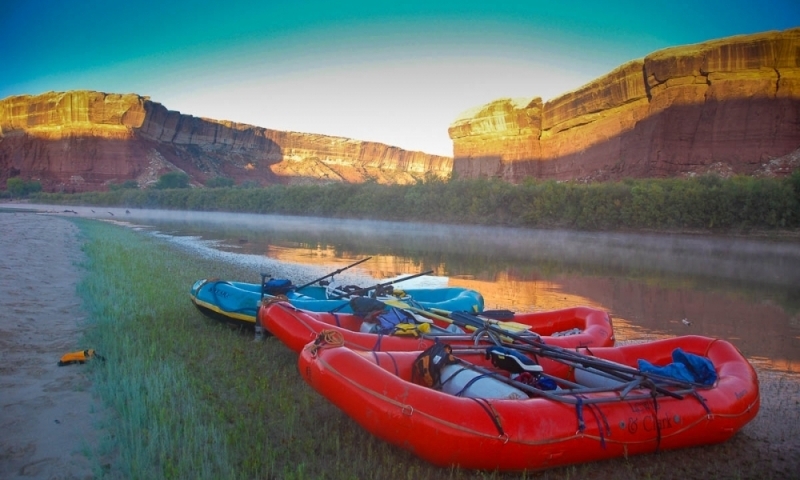 The Green, Colorado and San Juan Rivers all have flat water paddling opportunities. Permits are required for some floats. Any floats entering Canyonlands National Park require a $10 entrance permit. Flat water paddling is the perfect way for people of all ages and levels of fitness to explore Moab’s beautiful redrock canyons and scenic national parks. Paddling opportunities exist on several area rivers including the Green, Colorado, and San Juan Rivers. 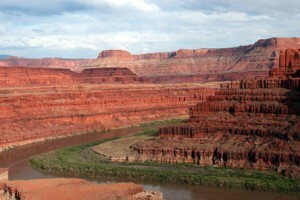 This 52 mile float begins and Mineral Bottom and travels through Canyonlands National Park. Because of the limited road access to this area, it has more of a wilderness feel than any other the other floats listed. Scenery includes sweeping red rock canyons and abundant wildlife. A $10 permit is needed to enter Canyonlands National Park. The trip takes between 2 -4 days. Beginning at the Potash Boat ramp on the Colorado River just outside of Moab, this 47 mile trips takes approximately 1-4 days depending on your speed. Take note, this trip requires jet boat transportation to return back to Moab. A permit is needed. Beginning in Moab at the Moab Boat Ramp, this trip ranges in length from 11 – 17 miles, making this the perfect trip for a one day float. The take out is at Gold Bar Canyon for 11 miles, or Potash Boat Ramp for 17 miles. Along the way admire stone arches, massive cliff walls, and Anasazi rock art. For more information regarding permits, call (435) 259-4351.